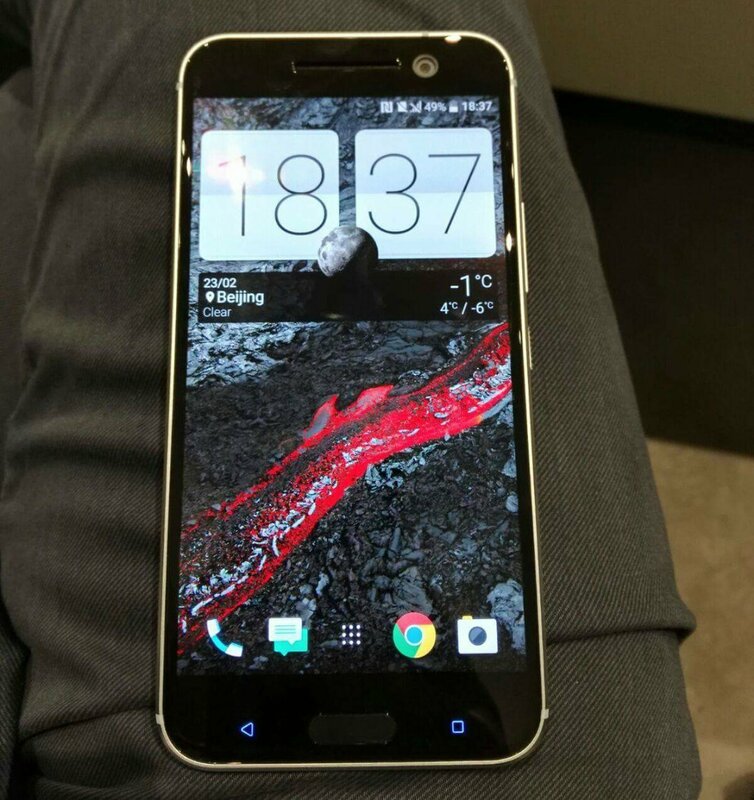 We have seen plenty of press renders for the HTC 10, the company’s upcoming flagship device, but now, actual photos of the reported device have hit the web. In my mind, photographs represent what to expect from hardware much better than press renders, given the eye can better see tiny details and textures that are not apparent in digital renders. 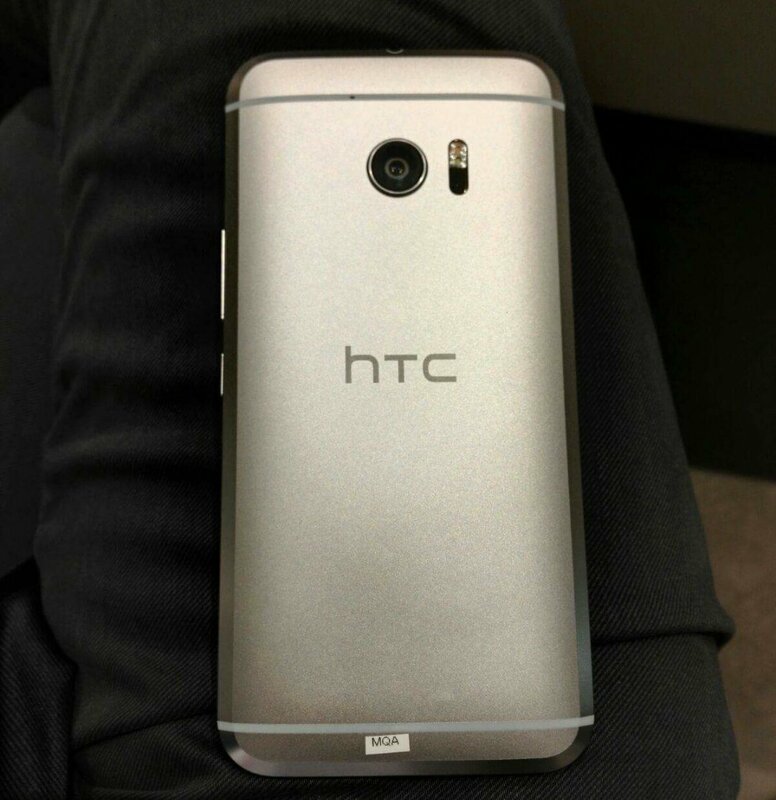 The photos in question, posted to Twitter, show that we can expect more metal from HTC in 2016, but also that the company has apparently taken a step backward in embracing what the Android community wants. Focusing primarily on the righthand photo, we can see the device’s frontside. Now, draw your attention to the bottom. See anything incredibly disturbing? Yup, those are capacitive buttons on the left and right side of the home button/fingerprint reader. Does anyone else remember when HTC removed capacitive buttons from the One M series, much to the delight of consumers? It was HTC taking a step toward aligning themselves with what Google offered in Nexus devices, which was on-screen buttons. We loved this move, as it made the frontside bezels take up less space, allowing for larger displays. Now, not only is HTC putting a home button on front, but also slapping Back and Recent Apps buttons down there. Feel free to take note of the large gap between the display and home button, too. That’s a whole lotta chin. Additionally, we should probably expect a HTC logo to make its way to the front as well. For a bit of speculating, it would be interesting to see if HTC implements a software feature like OnePlus, which allows users to switch back and forth between on-screen buttons and capacitive buttons. That might fix the main beef we have with this move, but then you still have these large, unused sections on the front of the phone. The rest of the photos align nicely with the press renders we have seen, not showing off too much else in terms of new intel. We can see the Sense clock widget, a few of HTC’s Sense icons, and a sweet lava flow wallpaper. Please, do share your thoughts below. Are you okay with HTC bringing back the capacitive buttons?